The DMatrix gamma ray Imager is a fully integrated photon counting pixilated, 12-Bit energy discriminating CZT detector/imager. Modular design enables a large field of view scaling. The solid-state detector technology, cadmium zinc telluride (CZT), provides superior efficiency and energy discrimination capabilities versus conventional scintillation-based detectors. 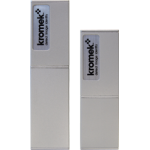 CZT detectors coupled with Kromek’s advanced ASIC technology make spectroscopic photon-counting gamma imaging possible. CZT based detectors are rapidly becoming the technology of choice in many of today’s most advanced medical, industrial, and security applications. The DMatrix is perfect for research projects to understand the capability of CZT. The DMatrix gamma ray imager can be used to test out your ideas and then scaled for incorporation into your own detectors. 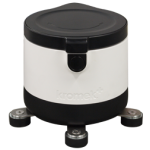 The Kromek Team can advise you every step of the way and with LISA imaging scanning and analysis software you can be up and running in no time. 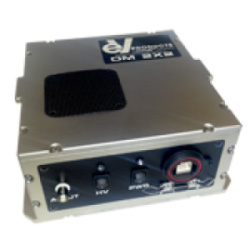 Shielded container with in-built CZT-based gamma detector for accurate analysis of samples, in-field or in the lab.